The design and the architectural characteristics of Al Mouj are inspired by the rich history of Oman, its seafaring traditions and traditional Omani architecture. Specifically envisioned to capture Muscat’s ocean views, most of the one, two, and three-bedroom luxury apartments are located within the waterfront village. Al Mouj is being around exuberantly landscaped courtyards, the village gives residents easy access to the beach and marina. 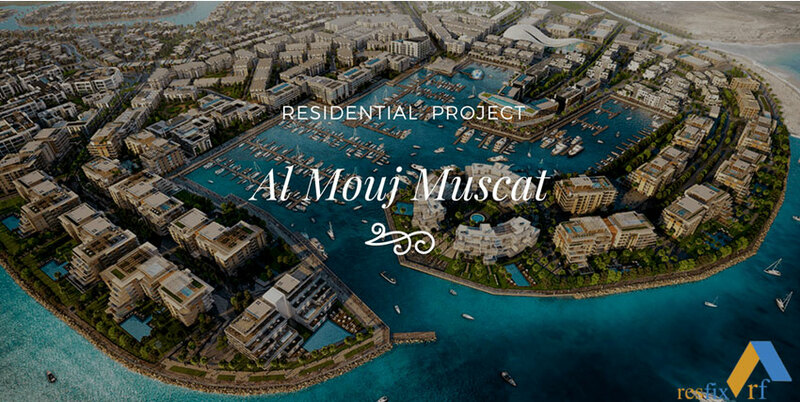 Once its completed, Al Mouj Muscat project will encompass 4,000 freehold homes, marina, golf course, three premier hotels and retail, leisure and dining opportunities. The project is partially completed and already has a happy community living and working there.